Mentor, Ohio is a dynamic, business-friendly community whose continued success is built upon sustained growth in manufacturing and retail. Our city offers attractive investment incentives, advanced site selection services, as well as international trade assistance – all customized to fit the needs of your business. Today, over 1,700 companies with more than 59,000 employees, including major corporations, manufacturers, retailers, specialty shops and small businesses, call Mentor their home. Over 325 independent and chain retailers occupy 3.3 million square feet of prime retail space in our city. They are supported by a community of 47,159 with 263,800 potential shoppers located within ten miles. 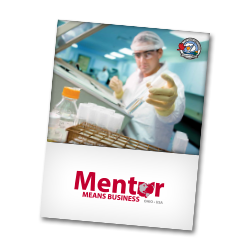 We invite you to discover all the reasons why Mentor is the right location for your growing business needs. Review our New Business Assistance Guide to help you get started and contact us with any questions.